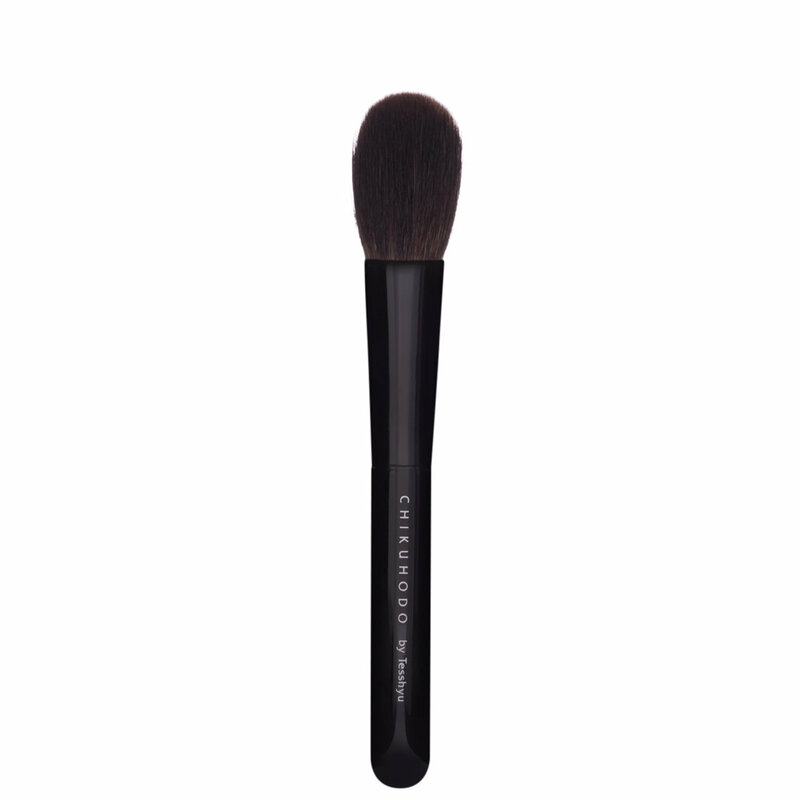 The Z Series Z-4 Cheek and Highlight Brush an ultra-soft brush ideal for applying blush on apples of cheeks or for highlighter along the cheekbone. Apply blush on apples of cheeks and blend upwards. To use as highlighting brush, apply product with the tip of the brush. this is one of 3 brushes that i bought from the chikuhodo z series and without a doubt the softness of these brushes did not let me down. these brushes are literally the kind of brushes that you can pet all day long, smile, and just be in total awe of how amazing they are. they truly are knock your socks of "holy smokes" nearly make you pee your pants soft. i reviewed the other highlight brush from this series so i won't repeat how great this brush performs for me. i wear make up but i am a very light handed "no make up make up" buildable, layering make up kinda gal so these kind of brushes really appeal to me. now the bad... there had to be a bad because i couldn't give this brush a 5 star rating. one of the first things i do when i get a new brush is run my fingers through it this brush was not fully packed into the ferrule and there was spacing when i pushed the bristles to one side. i hate that. i really really hate that. especially with a brush that i pay nearly $100 for. i expect the ferrule to not have any spacing which will encourage water to go into the ferrule. of course with that said i did not try to return or exchange it. unfortunately i had the same problem with the Z-10 eye shadow brush. 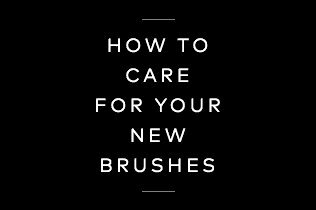 totally bummer actually but this has not affected the performance of these brushes. they perform beautifully. i just have to be extra careful washing and handling these. i will say this beautylish.com is awesome and i mean awesome. i ordered my brushes and within 1 hour i got an email saying they shipped and in 2 days i had my brushes in my hand. they were beautifully packed with a nice hand written note. seriously?! that is amazing customer service and i will without hesitation be purchasing from here again. You need it, you'll love it, it is everything. I need to speak directly to the girls with small cheek areas and high cheek bones. Look, there's a ton of blush brushes out there that you can buy. Most are round, with how dense it is of course varying. The Z4 is definitely a brush that is SOFT. You're going to get gentle, buildable, layers of blush, small precision placement, and super blended, flushed out look. I cannot recommend this enough. I'm of the school of thought that your blush should look natural most days and never stripey or heavy handed. This is THAT brush. I can't scream about it enough and yes, I'll be getting a back up ASAP!!!! So, where do i start... I have 3 cheek/blush brushes that I use regularly--Chikuhodo Z4, WG14 and WG the air brush. Chikuhodo Z4 delivers the most pigment over these 3(strange because it is blue squirrel hair hey! ), so I tend to reserve it for really light blushes. WG 14 gives medium color. Even though it is goat hair( I think, but still so soft), it is very loose packed, it gives color but still make the blush look subtle and soft. The air brush, gives the lightest color of these 3, and that is why I use it on heavy, very bright colored blushes. The air brush puts those bright colors on my cheeks but gives a "my skin is so natural and have a beautiful color and healthy" look, rather than "I put a hell load of bright blush" look. If you are choosing from these 3, Id say go for WG14 first because it is so universal! You can use it a little light handed if your blush color is very bright and for very light colors, it still delivers! Very happy about it and definitely using it most days! This brush is the love of my life. I bought it as a birthday gift for myself last year and I was beyond pleased with it then and still am! 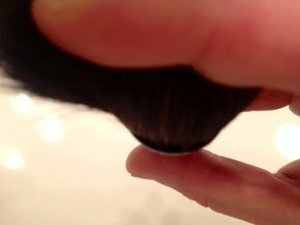 Yes, gray squirrel hair is the softest of all natural hair bristles (excepting red squirrel hair) and you must take care of this brush, but it is surprisingly robust for a such a delicate thing. Mine still looks like new after almost daily use for blush, bronzer and powder. 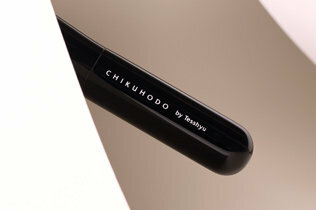 I thank Beautylish for bringing this brush into my life and making Chikuhodo brushes so readily available to U.S. buyers as it has given me so much joy and beautiful, diffused makeup applications! Best quality for your money! I love this brush!!! The quality of this brush is amazing. I was very hesitant on buying this brush because of the price but it is seriously worth the investment. I've bought the MAC 129 and also the Sigma blush brush along with several other blush brushes that have now made it into a drawer of unused brushes. The price of all those brushes equal out to one Z4 brush and I quickly regret not pulling the trigger and purchasing the Chikuhodo Z4 sooner. It picks up just the right amount of product due to its softness and due to its size it places the blush just at the right part of your cheek. I've also used it for setting powder and it does a great job at not disturbing the foundation and concealer. I have also used it for bronzer and it applies the right amount perfectly. I plan on purchasing another just to replace other brushes because for the quality of the Z4 brush I would happily purchase another. Great for bronzer, blush and highlighter!! I adore this brush! Super soft and luxurious! I use this for applying bronzer (Hourglass Dim Light) and less pigmented "harder-pressed" blushes as well as less pigmented highlighters. This brush is holy grail for me and the only other brush I use for blush besides this is the Suqqu cheek brush and soon (once it arrives), the WG 13 for cream blush. But this one I use everyday and adore it. I can't live without it now. You will love it too! This brush is a luxury tool, a work of artfulful craftsmanship. The hairs are soft, silky, and they glide effortlessly over the skin. The head is so precisely shaped, it's a wonder to imagine the tool has been created entirely by hand. Usins the Chikuhodo brushes is a sublime experience. I bought three brushes from the Z series and I am budgeting and planning for more. I was underwhelmed by the materials used for the handles initially, when I opened the box. Now that I have washed and used these brushes I love every feature. The handles are sleek and I love the way the high polish finish glistens under the lights of my bathroom vanity. I own other squirrel hair brushes. These are superior quality. Customer and collector for life! I am very VERY picky with blush brushes, I have naturally flushed cheeks so I have to take care that I don't use too much product. This brush is perfect because it sheers out the product beautifully. I never put too much blush on my cheeks with this, and the brush is SOOOO soft. I am in love with the Z-Series! The quality is insane and I feel the prices are reasonable. And of course, I love Beautylish, their customer service is unlike anything I've experienced online or in person frankly. I will continue to be a loyal customer to them for this reason, and they are also VERY nice! Thank you for carrying Chikuhodo! My god! This brush is EVERYTHING I could ever ask for. I have always struggled with uneven application of blushes on my cheek, there are always couple patches that blush won't stick to, and doesn't even blend. I have acne scar so I thought that was a problem but turns out to be the brush. 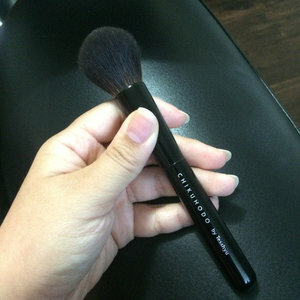 This brush applies my blush beautifully, first time I used it I was in awe, I cannot stop applying and blending because it's so soft and diffuse the product so so well. Not to mention Beautylish customer service, top-notch. I'm from the UK and I got my delivery within 5 days, how is that even impossible? Delivery and handling fee charge are within a reasonable range if not better than the RoyailMail, I don't know why I have put off ordering from them for such a long time.